so much more control this and my new helmet makes welding way way easier! super stoked about my TIG. 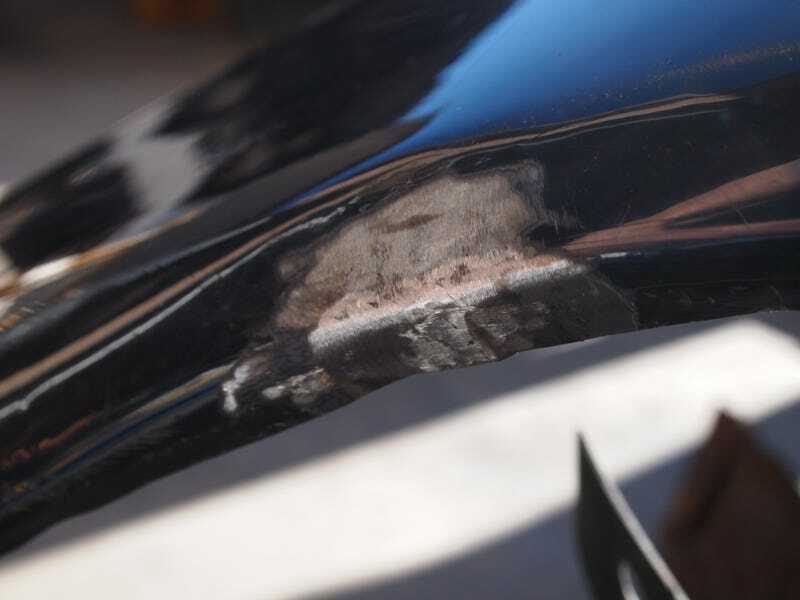 BTW this is a super thin miata fender the top photo was a crack on the edge I welded up and just for kicks the bottom photo shows where I welded a cracked bolt slot that isnt just a blobby weld but the two pieces met but like I said were cracked hard to explain but its not just a blob holding it together.